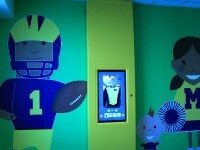 The University of Michigan Athletic Department has a long history of volunteer work at Mott Children’s Hospital in Ann Arbor, MI. For the new Mott Hospital, the football team funded a playroom for hospitalized children and their families to take a break and play in the 6,000 sq.ft playroom. 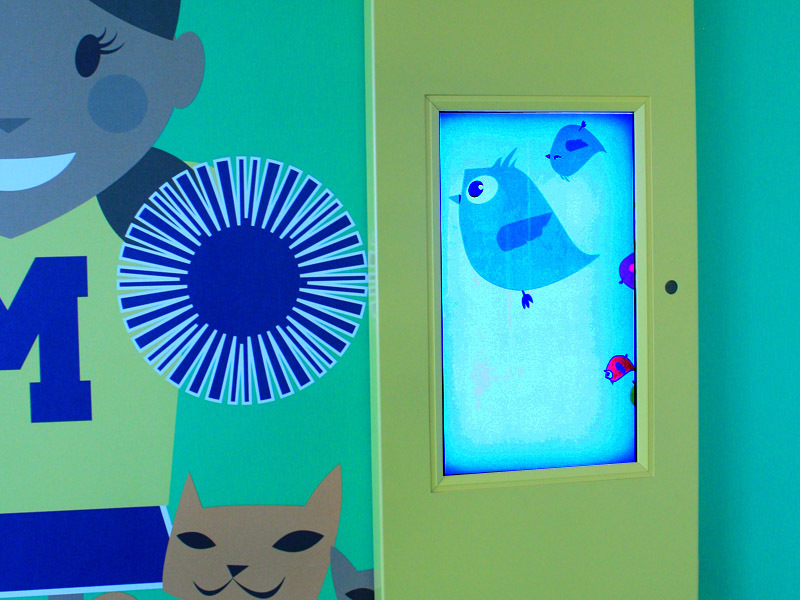 Working in conjunction with EWI Worldwide and designer Eli B’Sheart, Omni created three innovative interactive video installations using 42″ touchscreen systems. 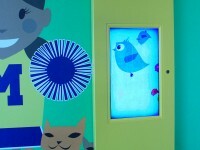 They included an augmented reality game, where the visitor “tried on” football uniforms, band uniforms among many choices and an animated “birds and monsters” game. 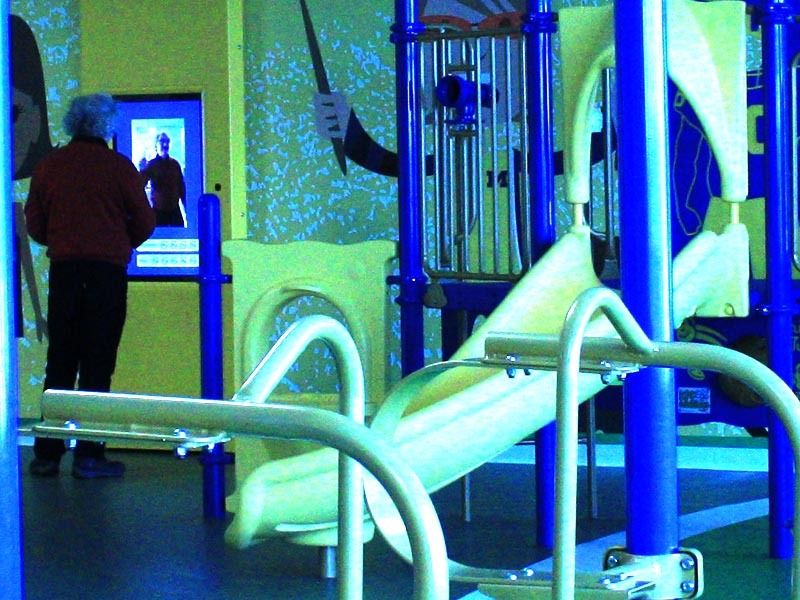 Another exhibit was an “instant replay” video interactive, where the visitor recorded themselves, then played it back in “slo-mo”, added multiple filters to the image, or composited themselves with the previous recording. 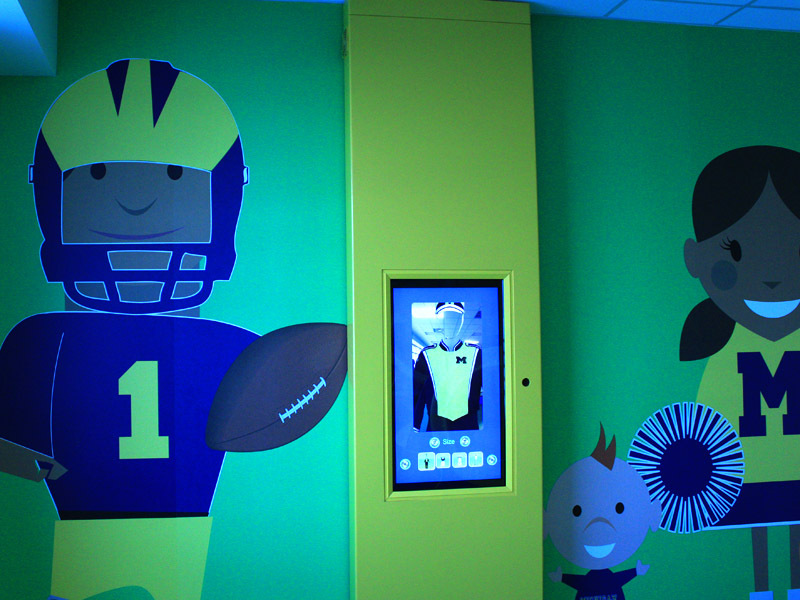 We also edited together a highlight reel of Michigan’s 2011-2012 football season which played in a loop on one the monitors, adding some real football heroes to children’s playroom.